Simplify your exploring at the comfort of your own house with trail cameras. Trail cameras are designed for wildlife research, allowing you to keep an eye on your target animal without leaving your home. When appropriately installed, a trail camera can give you all the necessary details that you need to ensure success in hunting. Aside from investing a quality trail camera, you should also consider trail hunting accessories, too. These items are designed to make it easier for you to install the game camera in the field. It also eradicates inconvenience and delays during the mounting. When choosing the right trail hunting accessories, it is vital that the fittings are compatible with your existing game camera to avoid complications. 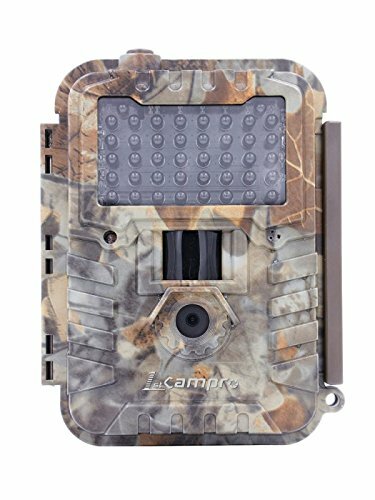 One of the global designers when it comes to trail cameras is the 1stcampro. They are best known for marketing high-end trail cameras and accessories on the market. The world-class quality of this manufacturer had earned thousands and hundreds of satisfied customers from all over the globe. The company was established last 2015, and ever since then, they’ve been working to provide the best of customer service and the finest quality of their products. As an experienced distributor of game cameras, we understand the need for you to invest in their products. Especially if you’re buying a trail camera for the first time, you might want to spend in this company. Since there are lots of choices in the market under this brand, we’ve come up with a list of the best trail cameras and accessories from the 1stcampro. The following are the best-selling trail cameras and trail hunting accessories according to their reliability, durability, image quality, and ratings from previous customers. It is crucial that you invest in a state-of-the-art trail camera if you want to document the fast-moving pace of the wild. First on the list is the swift trail and game camera from 1stcampro. This trail camera might be the one that you’re looking for for your next trail hunting adventure. The trail camera can capture images of 12MP resolution and record videos of 1080P with brilliant audio quality. It utilizes an invisible infrablack flash. The 42 powerful no-glow LEDs and 45-feet flash distance assure you that the animals won’t get scared while the camera is taking photos. It also lessens the chances of being found by the thieves in the forest. Moreover, this HD game camera comes with an integrated infrared motion and heat sensor, making it suitable for hunting big games or doing research of the wild. With this feature, you can also use your trail camera as your home security system when hunting season is over. 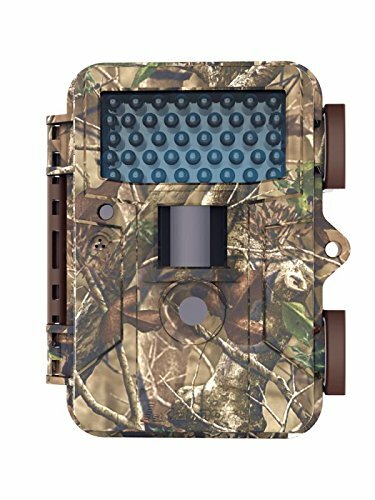 The trail camera features an integrated 2-inch TFT screen that allows you to preview your photos and program the settings with ease while you’re on the field. Aside from that, you can protect your HD game camera from thieves by setting up a password. No one can access your trail camera but you. For the menu settings, it includes start-stop time settings, three photo burst once it detected motion from a distance. You can also adjust the quality of both the photo and the video if you want to save battery life in the long run. The flash control sensor, time-lapse mode, and both the flash power and PIR sensitivity are adjustable. All the photos taken using this trail camera comes with a stamp, indicating the time, date and temperature when it was taken. When choosing the right trail camera, it is vital that you opt for a model with a compact design. Aside from the fact that you can bring it anywhere you want without the hassle, it’s easier to conceal the trail camera if it’s in a smaller size as well. Compact game cameras are becoming more and more popular in the market due to the convenience that it offers to the users. Take a look at this compact game camera from 1stcampro. Despite its tiny size, it is packed with features that you will need to capture the stunning beauty of wildlife or study your target animal. It can produce images of 12MP clear resolution and HD quality of 720P for videos. The sound quality of the recorded clips is crisp and clear, allowing you to study the video of the buck traveling or wandering coyotes in your area. Aside from that, this game camera is equipped with upgraded invisible infrablack flash. The 40 powerful no-glow LED’s and 45 feet flash distance ensures that you don’t scare the animals away when you’re taking pictures of them. It also has an integrated infrared motion and heat sensor that is suitable for hunting big games and can also be used as an alternative to your home security system. For previewing photos and adjusting settings, it has an integrated 1.5-inch TFT screen that allows you to see the pictures on the field and program the settings the way you want it to. Some security features include password protection to ensure that no one but you can access and use your game camera. It also has start-stop time settings and time stamps on every picture. The six photo burst will automatically capture six consecutive photos once the game camera has detected motion within the perimeter. As a hunter, it is crucial that you pay respect to nature in exchange for your hunting goods. There are lots of ways in which you can hunt without causing even the slightest damage to the forest. One of the trail hunting accessories that you should consider investing in the game camera bungee cord. This bungee cord allows you to trap your game camera securely without causing damage to the trees and surroundings life. This bungee cord is relatively easy to use. It will only take you a few seconds, and you can secure the strap of your game camera into the tree. The product will allow you to mount your trail camera to trees even as small as four inches and as huge as 13-inches diameter. 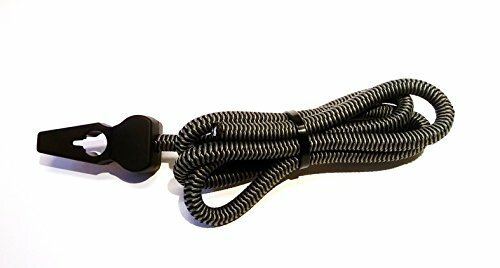 Keep in mind that this bungee cord is designed for 1stcampro trail cameras only, or if you have an existing game camera with a round locking hole, you can also use this product. It is made of durable materials and weatherproof, designed to withstand the harsh elements of nature and secure the lock of your game camera no matter how heavy the rain is or how strong the wind blows. When hunting season is over, that doesn’t mean that you should let your game camera be gathering dust at the back of your closet. You can transform your game camera into your home security system. Some game cameras can be mounted on a wall and allow you to secure the safety of your family members. Take a look at this game camera wall mount. It will secure your mounted camera on the wall, be it an interior or an exterior wall. This trail hunting accessory is ideal for surveillance and home security systems. Aside from that, it is also compatible with not just the 1stcampro game cameras but all other trail cameras. Installation is a breeze. It will only take a few minutes of your time to have your game camera installed and working. The package includes all the mounting hardware that you’re going to need: mounting screws, three plugs, and three hexagon sockets. The written instructions are also included, allowing you to install the game camera with ease. You can also use this wall mount with any of your camera gears as long as you have the standard ¼”-20 threads. The tilting angles are adjustable, allowing you to widen the coverage area. Not to mention that the wall mount is sleek-looking. It will suit any contemporary-styled rooms with its modern look. Now you can install your game camera as CCTV system with style. Installing your trail camera on the field can be a daunting task. Especially if you only have a single trail camera and you wish to capture the best angle when your target animal passes by. 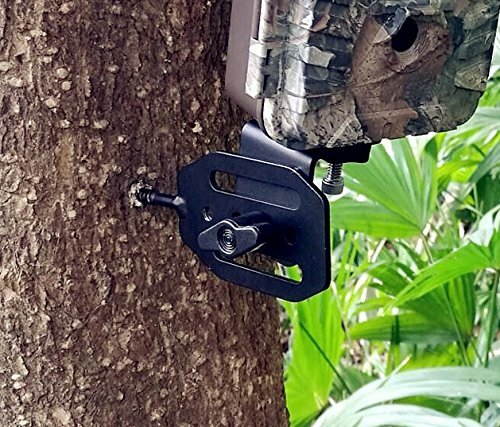 Take a look at this 1stcampro tree mount for game cameras. This tree mount will allow you to capture the perfect shot of your target. 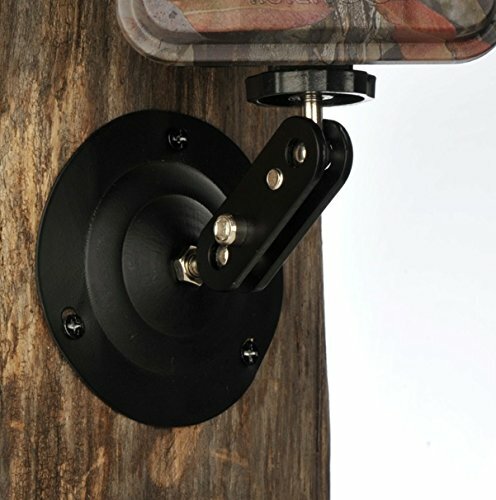 The rotating tree mount is ideal for both hunting and security use. The tree mount can turn up to 360 degrees, covering any vantage point. It is also suitable for all trail cameras that come with the standard ¼-inch tripod mount thread. What’s more, is that this tree mount doesn’t require assembly at all. You can use it right away, and it is also designed to withstand harsh weather without getting damage quickly. The tree mount is compatible with most trail cameras that come with a standard tripod mount thread as well. You may think that a tree mount is a luxury item for trail hunting, but it is actually a necessity to capture the best angle of shots for your game. In that way, you’ll be able to come home with picture-perfect images of bucks, coyotes, wild bears, and zebras roaming around the forest at night.